A former AP executive has launched his own broadcast services company offering live transmission and production facilities at different locations around the world. 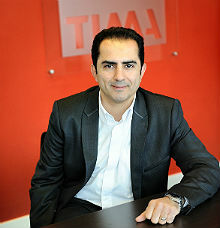 In addition, the new company, TIMA, plans to offer original video news content to its clients. Alla Salehian - formerly Director of AP's Global Media Services and, previous to that, managing editor of MBC - intends that the new company becomes a major player in the industry. 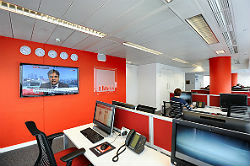 Initially it has live broadcast studios with crewing and editing in London, Washington DC and Sana’a in Yemen. Within the next few weeks, similar facilities will be opening in Islamabad, New York, Cairo, Beirut and Paris. He added, “From a content point of view, that's the area that we can see ourselves being able to excel and show what we can do. We are providing services globally but we will be providing a lot of content from the Middle East. We're in the process of setting up and producing original content and hopefully getting some exclusive content from Syria and other places which we will then distribute to customers." As well as having its own staff crews, the company will rely on trusted freelancers and it hopes too to receive user-generated content. Alla explained, "We're currently creating an App whereby we will hopefully be a destination for people with user-generated content to upload their video."